The Appeal Court sitting in Owerri under the chairmanship of Justice Jimmy Bada has upheld the judgement of the National and State Assembly Election Petitions Tribunal, Umuahia, Abia state which validated the election of Mao Ohuabunwa of the Peoples Democratic Party (PDP) as the duly elected senator for Abia North. In a unanimous decision, the court dismissed the appeal of the former Abia Gov. 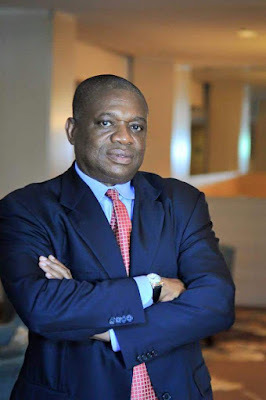 Orji Uzor Kalu, who was the candidate of the Progressive Peoples Alliance, PPA. Recall that in September, the National Assembly tribunal dismissed the petition filed by Uzor Kalu for lack of merit. Dismissing the petition, in his over eight hours judgment, the Tribunal chairman, Mr. Justice James Abundaga, ruled that Kalu failed to prove some of his allegations that Ohuabunwa was not elected by majority of lawful votes, that voting was inconclusive in some wards, evidence of over-voting, thuggery, voting by many unregistered voters, harassment of voters among others. According to the result announced by INEC, Ohuabunwa polled 26,009 votes followed by Kalu’s 25,814, APGA’s Bourdex Onuoha 13,692 while the All Progressives Congress, Nnenna Nma Lancaster-Okoro, got 916.